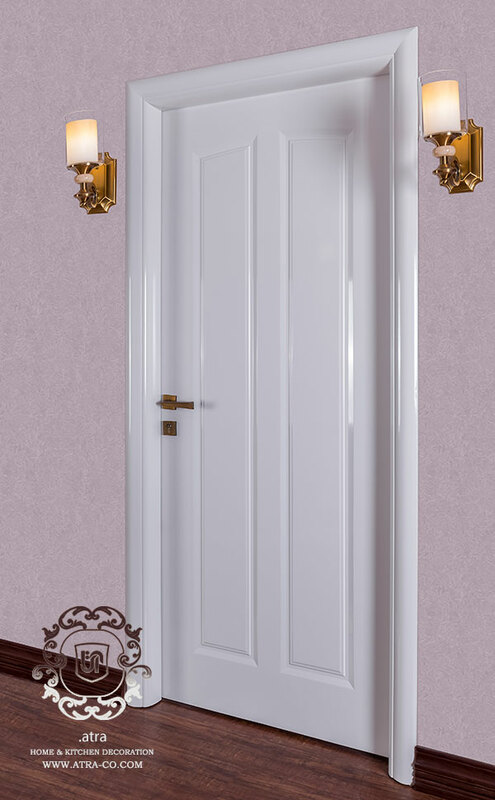 In modern design for doors, simplicity and lack of ornamentation is the priority. In this sample, the simplicity and flatness is an indication of modern style in spite of the wood parts. This model is a combination of wood and locker dye, which is performed seamlessly. This contributes to the simple, uniform design. In modern design usually neutral colors such as white, black and grey are applied. The color, design and dimensions are selectable based on client preference.